One thing an old Ivy League revolutionary can’t stand is people noticing that he represents the Establishment, that he embodies the System to a point where he can make it stop and make it go. He will go to great lengths to convince himself, if not others, this is not so. Holder took himself to Ferguson to spur the federal civil rights probe by more than 40 FBI agents into the shooting death of 18-year-old Michael Brown, who was black, by 28-year-old police officer Darren Wilson, who is white. As the justice chief declared at local FBI headquarters: “We’re looking for possible violations of federal civil rights statutes.” Obviously, Holder left those scales of impartiality at home. Not that he would need them in Missouri, where Democratic Gov. Jay Nixon announced “a vigorous prosecution must now be pursued,” presumably of police officer Wilson. Even the dark suits and American flags fail to obscure the 21st-century lynch mob at work. According to the snap judgment of federal and state authorities, Wilson shot the 6-foot-4, 292-pound man multiple times for “racist” reasons. The other story out there gathering reportorial mass is that Wilson fired as Brown charged him after having beaten Wilson to the point of fracturing his orbital socket and rendering the six-year veteran cop nearly unconscious – but, heavens, don’t let what’s quaintly known as the judicial process function unimpeded to ascertain the facts. Keep that media circus going because the nation’s top cop is ringmaster. Hang on a sec. As a young man, my husband was pulled over on the New Jersey Turnpike. The state trooper ordered him to take his suitcase out of his car and dump his belongings on the ground. The officer looked at everything, through the trunk, under the backseat, turning up a pebble the officer tentatively identified as a “marijuana seed.” Then he noticed an unusual object in the mess. “What’s that?” he demanded. “Avon aftershave,” my future husband replied, unscrewing the cap of the Snoopy-shaped bottle. That last part makes us laugh, but my husband remembers only anger and humiliation over the incident, and he is neither attorney general nor a black man. Call it equal-opportunity police thuggishness. 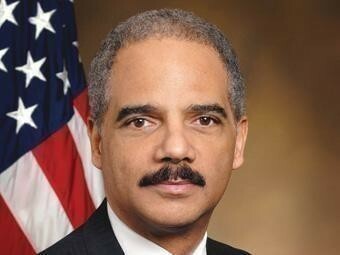 The point is not simply that Holder’s experiences are not racially unique. Nor is it that he seems to be using them to feign “street cred” with young people less privileged than he. What should outrage every American is the spectacle of an attorney general serving not the principle and practice of the law, but rather using his considerable powers and influence to scapegoat a policeman who is presumed innocent, who hasn’t been charged, let alone tried. Serving to perpetuate racial animosity, not justice, the U.S. attorney general is leading the rush to judgment. Drafts New Constitution will be use after they find the chance.